Rich gravel on marl - Southwest facing hillside - Altitude: 350m. 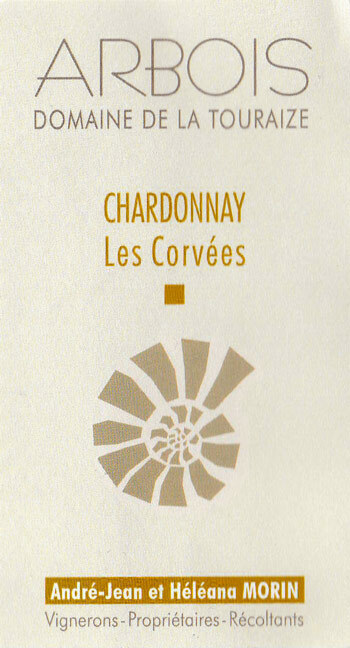 0.35 ha – plot selection "les Corvées" - age of vines: 80 years and 50 years. Density: 6000 to 8000 vines/ha. Pneumatic pressing of whole bunches. Addition of 20 mg/L of SO2 "in the press". Gravity settling of cold juice for 24h. Spontaneous alcoholic fermentation achieved with indigenous yeast. Alcoholic fermentation, malolactic fermentation, and aging in 20 hl tuns. 12 months on fine lees in tuns. Topping up weekly throughout aging. Before bottling, addition of 0 to 20 mg/L of SO2 according to the oxidative stability of the blend. On the morning of 19/07/2017, "fruit day", clear day with no wind after light plate filtration (K 200). Cork stopper 45/24 Ma Silva. Fresh, fruity nose with fresh butter overtones. Lively and dense in the mouth with citrus overtones and a more mineral, light woody finish. To be enjoyed between 10 and 13°C. Scallops, trout fillet with almonds or peanuts, pike quenelles.